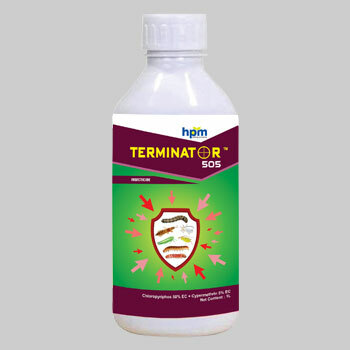 Extremely effective against all types of boll worms. It is a contact and stomach insecticide with vapour action and quick knock down effect. Controls American Boll Worm, Pink Boll Worm, Spodoptra litura etc. It also controls Aphids, Jassids, Thrips and white fly. 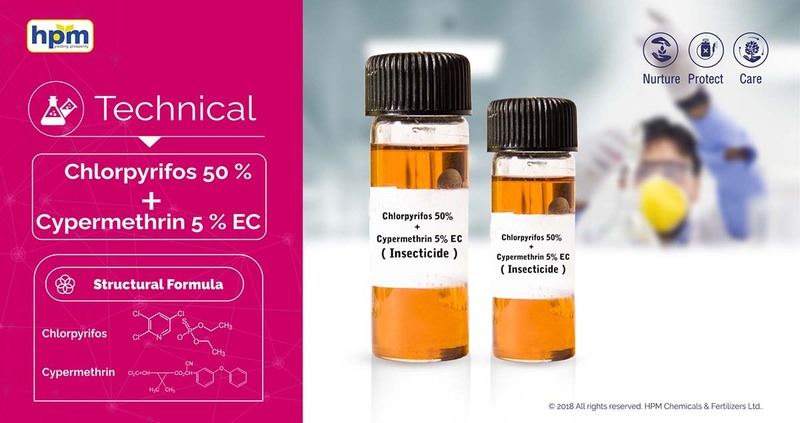 Cypermethrinacts on nervous system of the insect, and disturbs the function of neurons by interaction with the sodium channel. Chloropyriphosis non-systemic insecticide with contact, stomach, and respiratory action. Cypermethrin is non-systemic insecticide with contact and stomach action. Controls American Boll Worm, Pink Boll Worm, Spodoptralitura etc.